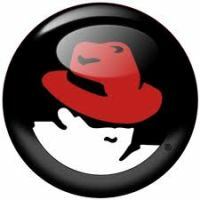 RedHat | Associate Application Developer | Fresher Jobs in Pune | Apply Online. Education: BE/ BTECH (Computer Science)/ MTECH/ MCA from a recognized University. Knowledge of UNIX or Linux programming languages like PHP, Qt, Perl, Python, etc. Develop a platform to integrate the dashboard with different Red Hat products and tools like Bugzilla, Request Tracker, Beaker, etc. RedHat Hiring Freshers | Quality Assurance Associate Intern | August 2012 | Jobs in Bangalore | Apply Online. RedHat Recruiting Software Engineer–Intern | Fresher Jobs in Bangalore | Apply Online | September 2012. NVIDIA recruiting Systems Software Engineer | Fresher Jobs in Pune | Apply Online | December 2012. Posted in Apply online, Computer Science, Freshers, Job After Btech, Jobs after ME/ MTECH, MCA, Without Experience. Tags: Apply online, Associate Application Developer, Fresher Jobs, Pune, RedHat on July 12, 2014 by kavita joshi.